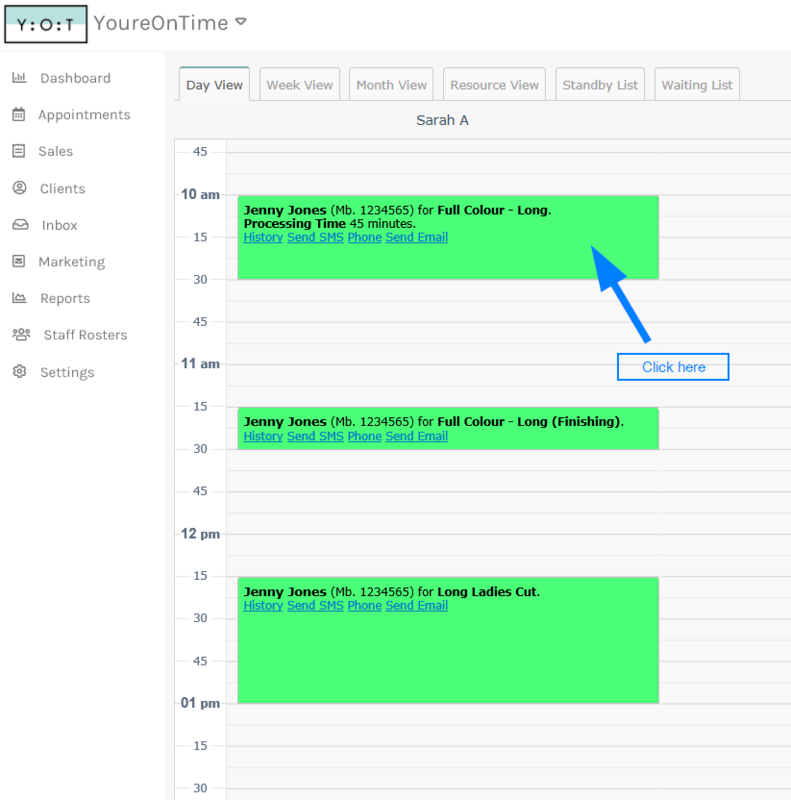 The Appointment Options pop up screen will appear. Click the Send Appointment to Sale link. This will show the Counter Sale screen listing the client name and the service that was performed. Click the Complete Sale button. This will promt the Payment pop up screen. It will list the Amount Due in red and tell you if there is any Change in green. 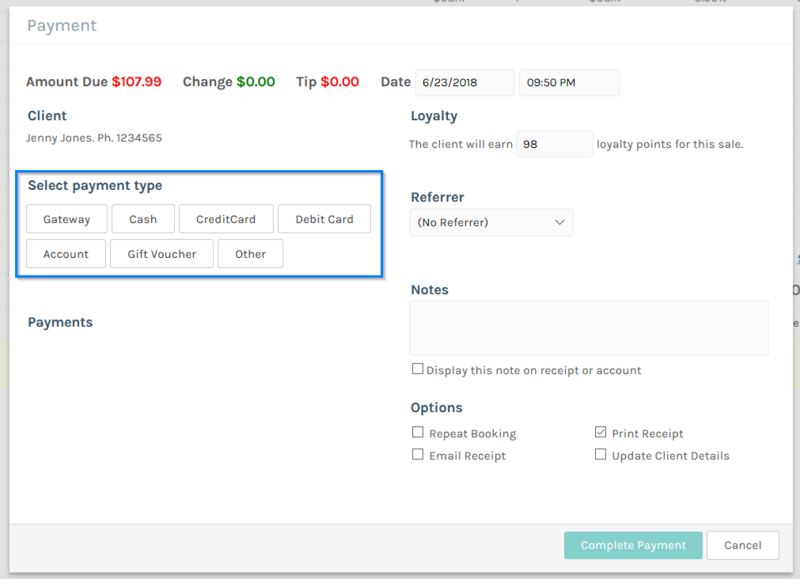 The first step is to Select a Payment Type, click the Cash button for this example. This will list the cash payment in the Payments section along with the amount and a rubbish bin icon to delete the payment if need be. Tick the Email receiptcheckbox to email the receipt or you can tick the Print receipt checkbox to print to your Printer. Click the Complete Sale button to complete the sale. 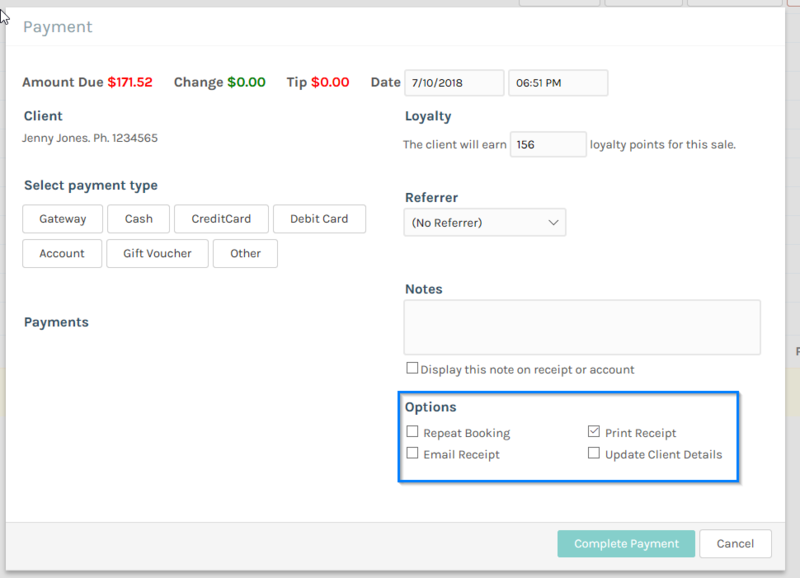 Note: The Email receipt checkbox will only appear if your client has an email address. This will prompt the Repeat appointment pop up screen. 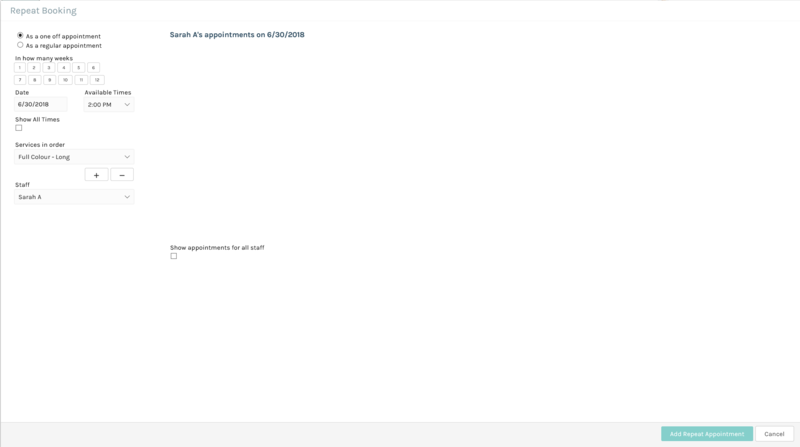 You can repeat the appointment as a Regular Appointment or as a Once Off Appointment. 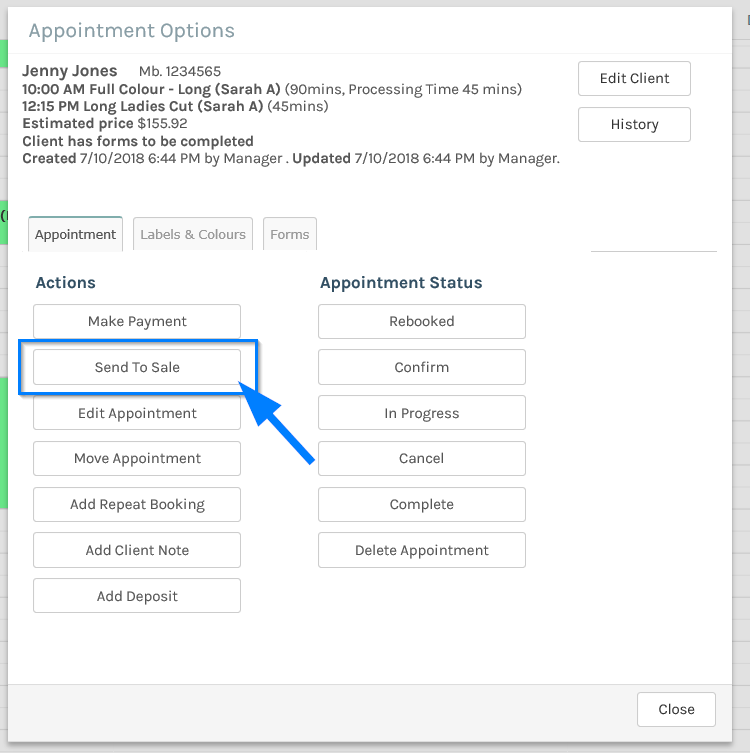 To repeat as a regular appointment, select the appointment interval in the Repeat In field, and for how long in the Repeat For field. For example every 4 weeks for the next 16 weeks will repeat the appointment a total of 4 times. 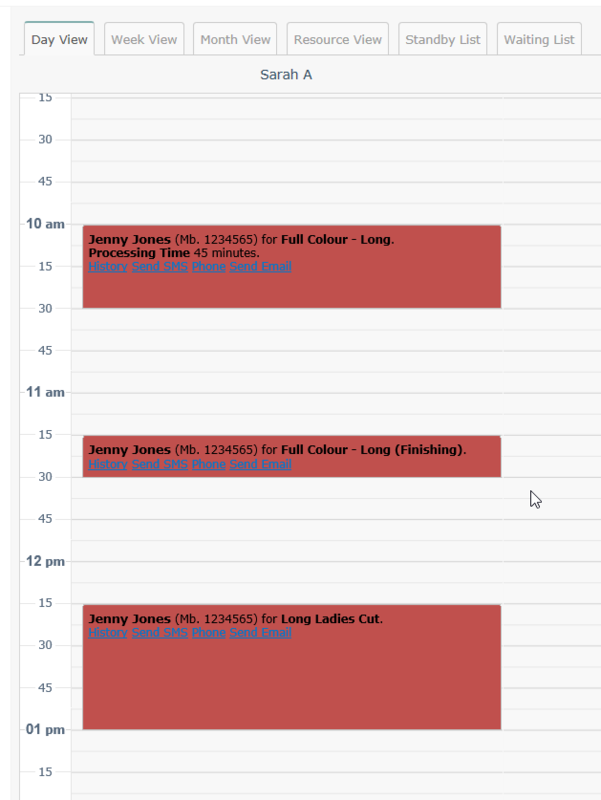 To repeat as a once off appointment, simply choose a date and time and this will repeat the appointment only ONCE. For this example, choose to repeat as a regular appointment for the next 8 weeks then click the Save button. The receipt will then be emailed to your client or print to your designated printer.